I’ve been researching my family history since November of 2014, and since my Fotki albums are not spidered by Google, I figure I’d create a special page here where distant relatives might find me by searching on my grandparents and great-grandparents names. 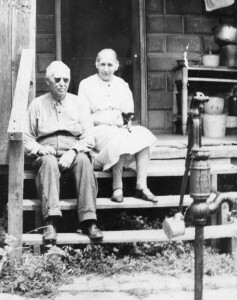 Phillip and Martha[Shaffer] Senff of Bremen, Indiana. 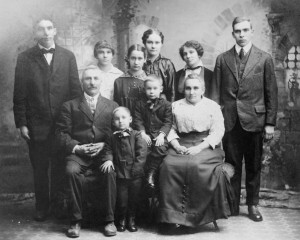 Parents of Ben, Roy, Wayne, Charles, and Mary; c1933. My name is Derek Jensen, the son of Bill Jensen and Luella Kilian of Bremen, Indiana. 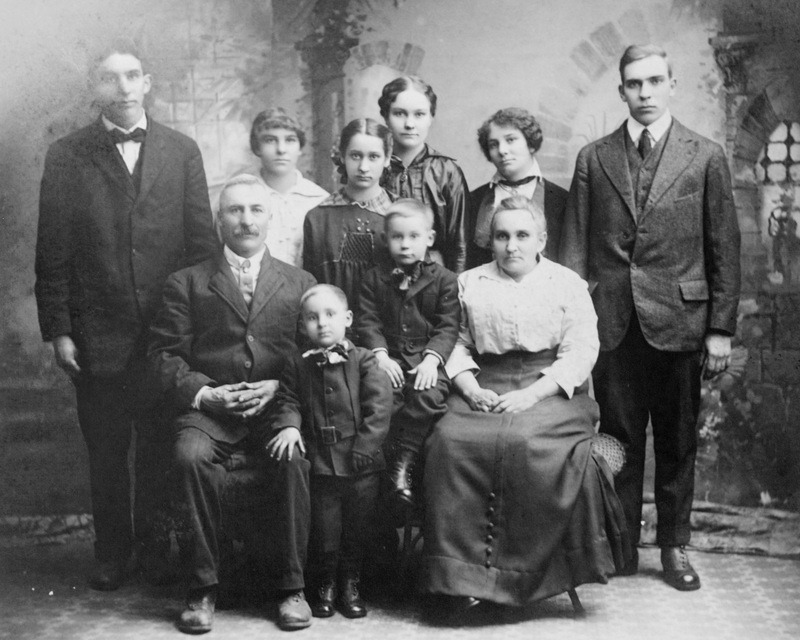 I’ve built an extensive family tree at FamilySearch.org. The links below go there (requires signup, but it’s a free service). 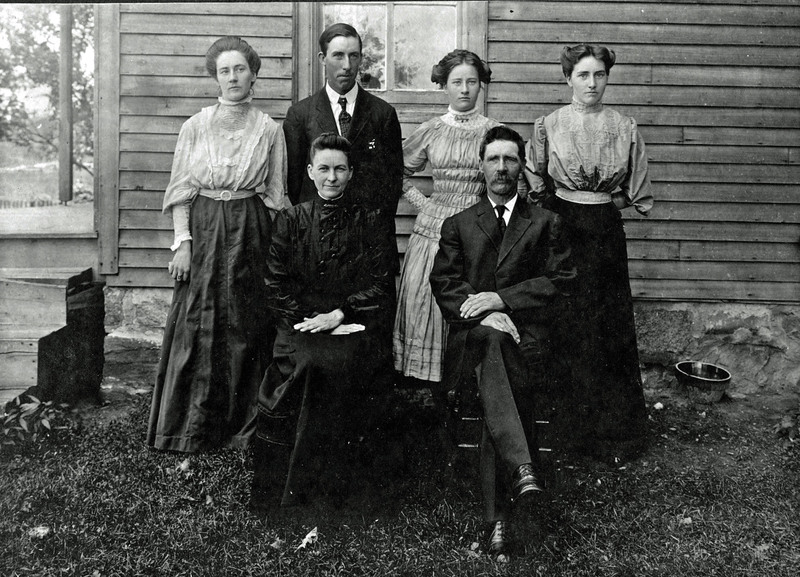 Kilian family reunion, 1910, with Ralph and Pearl [Elder] Kilian and Ralph’s parents John W Kilian and Elizabeth Hepler. I’d love to connect with 2nd and 3rd cousins and fill in gaps in my family tree and share photographs. You can find my family photos on Fotki in several albums, along with family history presentations that reveal that parts of my family have been in the US since its earliest European settlements. Richard Mather, brother of the man who prosecuted Charles I in the English Civil War and father of Increase Mather, who founded Harvard University. Click the photo album below for various albums of old family photos, documents, and slide presentations…. The picture of the Henry and Ida Tavernier is familiar to me and I believe that my mother has individual pictures of Henry and Ida. Big oval framed pictures. Maybe a foot and a half tall and fifteen inches wide. It will be interesting to see what there is to share. They include the photo of Bertha, Alma, and Alta taken at the same time as the whole family one and also photos of Ida Tavernier’s parents David and Susannah Stutsman. I continue to add photos, better descriptions, and maps to all the family photo albums. 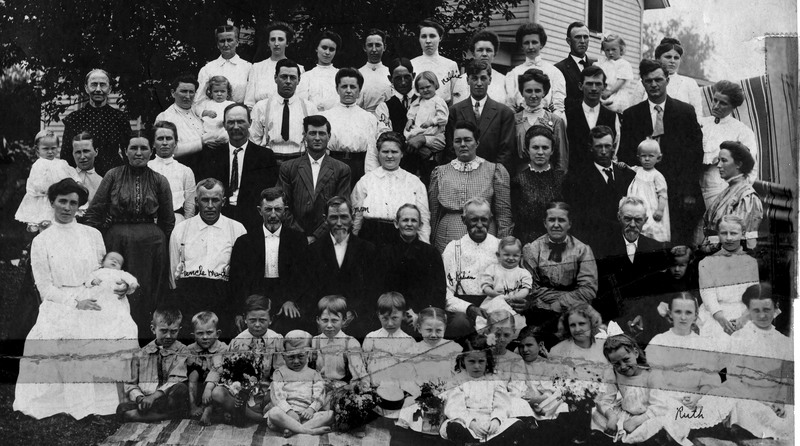 I updated the family history slide presentations as of March 2015. I’m also continuing to reach out to other cousins, both on Ancestry.com and in person. I am Teresa Gee Burch aka Tara Mosley, Last sibling of Chikako Nishimoto. Sister to Sherril Lee, Tina Vee, Linda Dee, Rina Ree, and Tawn Chi Burch. I’m interested in any photos of this side of the family that you might have. Hi Derek, Martha Senff was a daughter of Benjamin and Mary Ann[Roose] Shaffer, Her sisters were Sarah, Luetta, Florence and Addie, she also had one brother Edward who died in infancy. Addie was my grandmother. My grandmother named her oldest daughter Martha. Wonderful to hear from you, Molly! I recently got a picture of Mary Ann with Addie and Osa from one of my dad’s cousins and a whole album of photos apparently assembled by Mary Ann from another of my dad’s cousins. It’s a treasure I’m thrilled to share. There is even a picture of Ben’s father, my 4x-great-grandfather. I’d love to know if you have more photos of Addie’s line! I have somewhat recent photos of Virgil and Jay (Julius junior) that were not included in all the pics that I lended to you. Give me an e-mail and I’ll forward it to you. Sorry,, these are Julius DeLanghe last two sons by his second wife. Hello Derek. My mother was Velma Burch Parish, the daughter of Lawrence Burch. My grandmother was Mary Senff Burch. I used to visit Phillip Senff at his house in Bremen and sit on his front porch among the flowers that he loved but could only smell because of his blindness. I have downloaded the photos you posted of Lawrence Burch and Mary as well as the one of just Mary. Wonderful photos. I have a Ancestry.com family tree that includes all of Lawrence and Mary’s children, including my mother. I spent many summer days at the Burch farm outside of Tyner and still visit the area almost every year for the annual Burch family reunion. 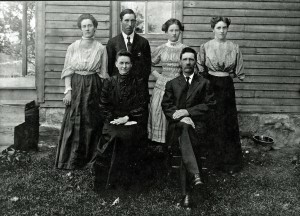 I would be very interested in any additional photos you have of the Burch/Senff family. Wonderful! Very sorry for overlooking this! Ann [Drudge] Scott lived down the street and told me she liked to visit with Phillip also. There are many, many photos of the Senffs on the Fotki site. You might also be interested in the Historic Bremen account on Flickr, where there are all kinds of Bremen people and places. Hi Derek, I’ve just found your record for Don Bunge, my grandfather. I loved seeing all the photos uploaded to his record, but I also noticed that someone has marked him as deceased. I’m happy to report that he’s still very much alive. I’ve requested that your record be marked as still living so that I can merge your duplicate record with the one that is connected to his family. But are you able to go in and mark him as living yourself? Let me know what you find out. Thank you! Hi. I regularly mark living persons as deceased in FamilySearch for two reasons. Records for living persons can’t have source documents attached to them, which makes it difficult to even get started on researching someone. And, living person records are private; only the creator can see them. So there is no way to merge duplicate records for living persons: you can’t see mine, and I can’t see yours. 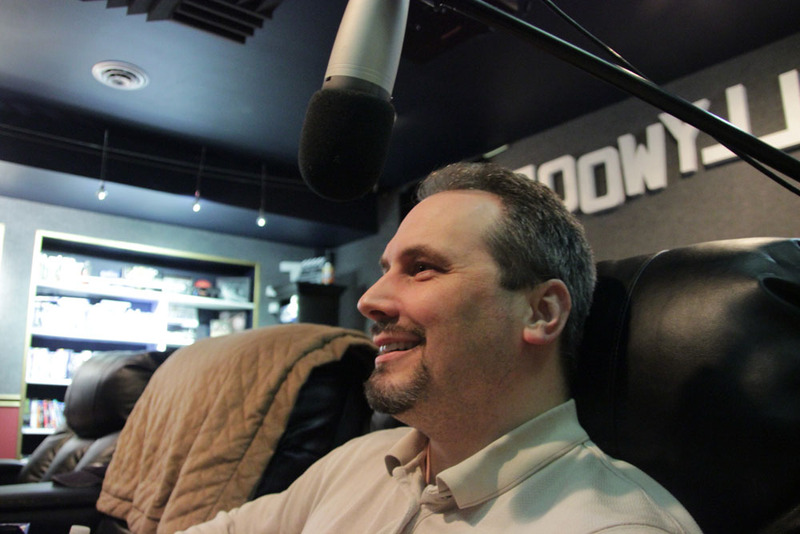 As a result, there would still be two records, and a third party might notice that Don is missing from the Jay and Oma Bunge family and create yet another record for him. It’s very annoying that they don’t offer a “living but public” setting, but I’ve now changed the location of death to “living” to be a little clearer. By the way, Coach Bunge taught me Driver’s Ed back in ’84. Great memories of his little tricks!